I was one of a lucky few who got to preview this book in April of 2017, and to beta test the exercises. If you are a writer, a thinker, a reader, a fantasy game builder or player, I would highly recommend The A-Zs of Worldbuilding to you. This book's format will guide you through the creation of a whole new world, crafted from your own imagination and with the prompts on these pages, including the obvious necessities (what is the family structure, where do they live, what do they wear, and eat, and create?) as well as the politics and belief systems that will enrich the literary home for your characters and their adventures, giving them things to strive to attain, and logical obstacles to block their way. 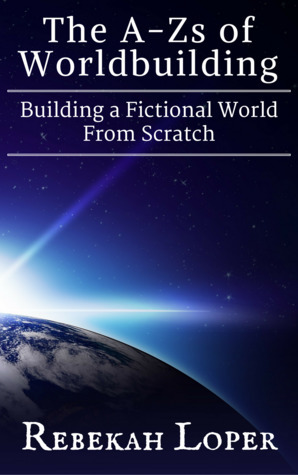 The author has a lifetime love and talent for crafting the details it takes to make the realms in her stories spring to life and shares her secrets and methods in this accessible, organized course that will do the same for your fictional planets and kingdoms and time periods. This book absolutely belongs in every fiction writer's tool kit! Sign into Goodreads to see if any of your friends have read The A-Zs of Worldbuilding.